A few days back, a discussion on the Apple II Facebook group asked about large format Floppy Emu displays for people with vision difficulties. 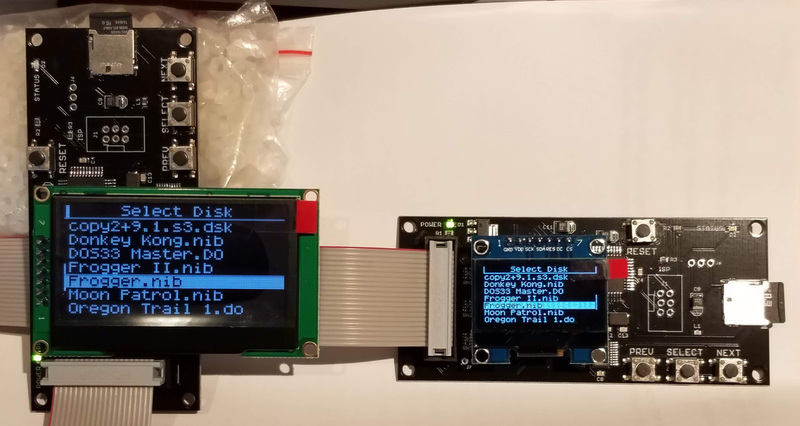 Here’s a 2.42 inch OLED that’s a simple drop-in replacement for the OLED in Floppy Emu Model C. With more than 3x the screen area of the standard OLED, that’s a big increase in display size! This particular OLED was $17.99 and can be purchased here. The only minor issue is that the rightmost column of pixels appears on the left side of the display – some sort of off-by-one error. Wow! That looks great. A little expensive, but really looks wonderful!